"...when you have eliminated the impossible, whatever remains, however improbable, must be the truth". Many ghost investigation groups claim to be scientific based, use a scientific approach, or use the word science to describe what they do. Unfortunately, while the methods used by investigators may seem like science they are typically far from it. Many groups use the above quote to justify their leap to a paranormal conclusion of "evidence" since an immediate answer is not obvious. The reality is the statement is actually a form of Occam's Razor which basically states that the simplest explanation is usually the right one. This does not mean that hearing strange footstep sounds means a ghost is present. We might jump to that conclusion since we are in the act of investigating ghosts in a location that is assumed to be haunted using equipment we assume can capture ghostly evidence. These assumptions are fueled by speculation, fear, and subjectivity; not science! The logical solution would be that a person is creating the noises or other "Earthly" explanation can be found to explain the noises if we ignore our assumptions and emotions and use deductive reasoning. Ghost teams are under the assumption that science is being used because of the gadgetry, or possibly the exclusion of using other methods (Ouija Boards, other divination tools, psychics, etc.). They may feel that these tools are being used as part of a grand hypothesis and the evidence they are gathering fits into the ongoing scheme of information that further justifies the actions of the investigations. As you watch television shows on the paranormal and see the hundreds of groups online ask yourself this question, "is all of this evidence really true evidence of ghosts?" Hopefully you see that many people jump to conclusions and much in the way of evidence provided is debatable especially when you consider how little groups truly document what is going on during the investigation. Are groups doing this on purpose? Surely some are fabricating embellishing evidence to fit in (an alarming trend), but I truly feel groups do what they do, and do it how they do it, merely because they don't know any other way to do it. That basically means that the culture of amateur paranormal investigation has become saturated with methods that provide evidence without much science while the perception is that science is being done. Many groups want to do things better, but there is only so much that can be done with field investigations. However, there can be many changes that will allow paranormal investigations to become more successful scientific studies. "Just as using a calculator doesn't make you a mathematician, using a scientific instrument doesn't make you a scientist." - "The Shady Science of Ghost Hunting" - Ben Radford. Science is not just a mentality, a set of tools, or merely an attempt to prove something; it is a process. Using an EMF detector is not science, even using an EMF detector to create a "base line" prior to an investigation is not science, as a matter of fact no tool in your Pelican case can make science happen (we'll discuss the tool issue a bit later) if you're using them to find ghosts. The process of science is designed to keep people from making assumptions about observations or beliefs. 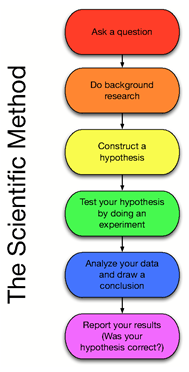 Many people see science as a simple five step process (see photo), but while this process is a good general guide it is too basic for reality. The idea that science can be used as a simple recipe, as explained by the source of the photo ("How Science Works." Understanding Science. University of California Museum of Paleontology. 18 April 2014), is too simplistic for how science truly works. These steps may be repeated many times and various methods may need to be used as well as multiple experiments with input and analysis by many others. The bottom line; science isn't done on a Saturday night in the dark with a handful of tools. One investigation would certainly not be enough to validate anything and the fact remains that most investigations create more questions than provide answers. Some investigators may see the five step process and think; we ask a question, "Is this house truly haunted? ", then we formulate a hypothesis, "The house is more than likely haunted" or "The client feels the home is haunted, we will allow our investigation to find the answer", we perform an experiment using EVP sessions and EMF detectors or other methods, we collect the data (EVPs, EMF spikes, photos, personal experiences, etc.) and then draw conclusions, "The house is definitely haunted since we captured EVPs, EMF spikes, and people were touched during the investigation." This, unfortunately, is too basic, too broad, and contains too many errors to be considered using the scientific process. 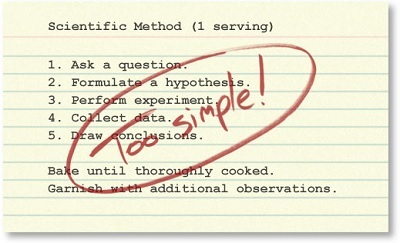 The tools and methods used are where investigators muddy the waters of science as this tends to lead to assumptions and the focus becomes validating the client's or the investigator's experiences and ignoring logical solutions or assuming that these logical solutions, while likely, are probably not the cause due to the "amount" of evidence collected. The experiment methods are flawed (vigils, EVP sessions, EMF sweeps, flashlight sessions, etc.) 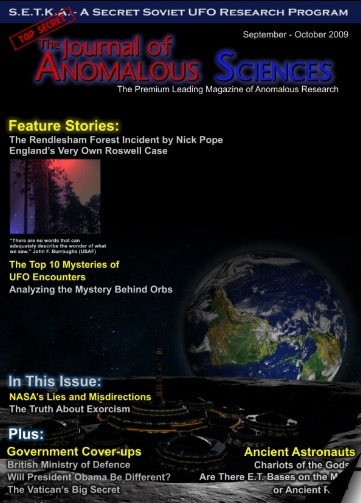 as they are typically based on a pseudoscientific platform, the data collection is flawed since groups typically gravitate quickly to paranormal explanations when presented with evidence they feel is consistent with it, and certainly conclusions are drawn which typically do not support objective and critical thinking. The first step is to translate a general idea into a testable hypothesis. A hypothesis is a tentative statement about the relationship between two or more variables. Hypotheses are generally expressed as predictions. They spell out how changes in one variable will be related to changes in another variable. To be testable, scientific hypotheses must be formulated precisely, and the variables under study must be clearly defined. Researchers achieve these clear formulations by providing operational definitions of the relevant variables. An operational definition describes the actions or operations that will be made to measure or control a variable. Operational definitions establish precisely what is meant by each variable in the context of a study. 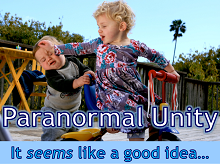 Most ghost groups come up with theories, which are based upon their ideas of proven "facts" about ghosts. A theory can be thought of as a set of validated hypotheses. They also conduct investigations and base their methodologies on the "theories of ghosts", which are actually hypotheses (guesses based on case studies) and are not factual since they are not observed and recorded and verified by others. Parapsychology created many deductions about ghosts, but the fact remains ghosts are not scientifically validated so there are no true "facts" about them. The second step in a scientific investigation is to figure out how to put the hypothesis to an empirical test. The research method chosen depends to a large degree on the nature of the question under study. The various methods- experiments, case studies, surveys, naturalistic observation - each have advantages and disadvantages. The researcher has to ponder the pros and cons and then select the strategy that appears to be the most appropriate and practical. Once researchers have chosen a general method, they must make detailed plans for executing their study. This short list shows that there is more than one way to conduct investigations. Obviously, with a client-based case one would use experiments or naturalistic observation. With looking at ghosts or psi phenomena in general, one could turn to case studies (reviewing specific information within your documented cases for correlations in data) or surveys (asking general questions to a broad selection of population to find specific answers) to help the group establish their own hypotheses about specific phenomena. According to their plans, researchers obtain their samples of subjects and conduct their study. Psychologists use a variety of data collection techniques, which are procedures for making empirical observations and measurements. Commonly used techniques include direct observation, questionnaires, interviews, psychological tests, physiological recordings, and examination of archival records. These methods are broken down below. Collecting research data often takes an enormous amount of time and work. Direct observation - Observers are trained to watch and record behavior as objectively and precisely as possible. This is where the amateur movement is focused using their instrumentation as a guide (should be using their tools to back up events not merely be the only record or indication). Questionnaire - Subjects are administered a series of written questions designed to obtain information about attitudes, opinions, and specific aspects of their behavior. Interview - A face-to-face dialogue is conducted to obtain information about specific aspects of a subject's behavior. Psychological test - Subjects are administered a standardized measure to obtain a sample of their behavior. Tests are usually used to assess mental abilities or personality traits. This phase of study includes the use of Zener cards (5 symbols used in guessing experiments, although no longer used) as well as random number generators (used in psychokinetic experiments). Physiological recording - An instrument is used to monitor and record a specific physiological process in a subject. Examples include measures of blood pressure, heart rate, muscle tension, and brain activity. Examination of archival records - The researcher analyzes existing institutional records (the archives), such as census, economic, medical, legal, educational, and business records. This is where psychical research began by studying stories of those who had spontaneous events occur to them. The observations made in a study are usually converted into numbers, which constitute the raw data of the study. Researchers use statistics to analyze their data and to decide whether their hypotheses have been supported. Thus, statistics play an essential role in the scientific enterprise. This is where many groups get lost. It's not really one piece of evidence or even one case that will bring you answers, in regards to pieces of evidence it is how the evidence was collected that is important and with overall cases it is the specific information gathered by the sum of many. Scientific progress can be achieved only if researchers share their findings with one another and with the general public. Therefore, the final step in a scientific investigation is to write up a concise summary of the study and its findings. Typically, researchers prepare a report that is delivered to a journal for publication. The process of publishing scientific studies allows other experts to evaluate and critique new research findings. Sometimes this process of critical evaluation discloses flaws in a study. If the flaws are serious enough, the results may be discounted or discarded. This evaluation process is a major strength of the scientific approach because it gradually weeds out erroneous findings. For this reason, the scientific enterprise is sometimes characterized as "self-correcting." This is why it is critical for ghost hunting and paranormal investigation groups to share and compare data. We are stuck making the same guesses over and over from one group to the next until the data is put out there for everyone to evaluate. Each group feels that they alone will produce a piece of ground-breaking evidence that will set the world on its ear, this is a belief founded in misunderstanding of how the scientific process operates. Groups must work together building upon work to come up with answers. It is possible that one group may eventually hold the key, but this group will be one that uses the scientific approach from work that eventually will be confirmed or denied by others. This is another sore subject for groups; allowing others to critique their work. It seems many groups post their work and expect everyone to buy in to their findings and applaud them. When a group or individual finds a flaw in the evidence the group posting the evidence usually gets defensive. This is a poor position to take and is not one that will allow the field to grow. The above example is based upon the "top-down method." The researcher starts the theory and works through the research and data collection aspect. In other words, it is driven by the theory. Another approach would be "bottom-up", which is driven by the data gathered during the research and data (during a spontaneous case investigation) which helps create a hypothesis. Through the hypothesis one could use prediction and/or testing to determine a theory based upon the information gathered and eventually publish this data for peer review. A third approach, "Integrated Approach" (Watt, 1994, p. 77), continuously flows from theory through research and data and is hopefully refined over time. While these are basic approaches for all scientific disciplines, they are still flawed for spontaneous cases since there is little control over most of the variables and the data collection methods are still in question. The Scientific approach offers clarity and precision. Common-sense notions tend to be vague and ambiguous. The major advantage of the scientific approach is its relative intolerance of error. While possibly not proving anything beyond argument, the scientific approach does tend to yield more accurate and dependable information than casual analyses and armchair speculation do. Knowledge of scientific data can thus provide a useful benchmark against which to judge claims and information from other kinds of sources. The major disadvantage of the scientific approach (especially in the case of ghost research) is that experiments are often artificial. Experiments require great control over proceedings and researchers must construct simple contrived situations to these their hypothesis experimentally. It is practically impossible to simulate the environment of a haunted location in a laboratory setting, this is why there is no experimentation within the study of the paranormal- not only can we not duplicate this environment we could never possibly control it. We must rely solely on descriptive research methods. These methods are used when the variables cannot be manipulated. In other words, these methods cannot be used to describe cause-and-effect relationships between variables. This understanding could come with time and understanding and after the use of the descriptive research. Descriptive methods permit investigators only to describe patterns of behavior and discover links or associations between variables. This is where Parapsychology has been stuck for over 130 years. Once variables are introduced the results usually seem to become inconclusive. A researcher engages in careful, usually prolonged, observation of behavior without intervening directly with the subjects. The problems with this approach are twofold. First, it is nearly impossible to observe ghost activity for a prolonged period of time and especially as it is spontaneous, especially when dealing with a specific case. This lack of observation time (and spontaneity) usually proves the information gathered inconclusive. Secondly, it is nearly impossible to observe the ghost behavior without becoming directly involved with the subjects. Once you are part of the environment you have changed the variables and altered the environment in which the events occur. Most ghost teams place themselves directly in the case and push the client to the peripheral which is the complete opposite of what should occur. Naturalist observation should be a part of the investigation process to some degree as the group observes the client or even merely the environment without direct influence or participation. The reality is ghosts are about interaction, but this interaction does not have to come from the investigation team and many times mere observation will not provide much information. Participant observation is when a person interacts with the subject matter. This is more along the lines of a typical ghost investigation where the investigator become immersed in the environment and investigation. The issue here is that the investigation becomes completely subjective and the participants are not able to control variables or separate themselves from the experiment (as in naturalistic observation, which is shown as non-participation in the graphic). The goal should not merely be an investigation at one end of the spectrum or another, it should be a balance of participation and observation. With moderate participation the experimenter can observe and participate equally and provide a balance of objectivity and subjectivity necessary with an elusive and spontaneous subject matter. This means that part of the group can be immersed with the investigation while others are merely observing and not interacting. This will allow you to document what is happening objectively while the case is unfolding; yet this goes beyond merely watching behind a camera or having a camera system in place. The observer isn't necessarily watching the environment to witness phenomena they are observing the participants to ensure things are being done correctly and to watch for rational explanations to activity. These are an in-depth investigation of an individual subject. Data is collected for individual cases and compared to that of other cases to arrive at a common explanation. The major problem with this approach is that they are highly subjective. The information from several sources must be knit together in an impressionistic way. During this process one may focus on information that fits with their expectations, which usually reflect their theoretical slant. Thus, it is relatively easy for investigators to see what they expect to see in case study research. This represents the early days of psychical research which began to create many of the known ideas about ghosts (residual hauntings, apparitions) and the limitations were why researchers turned toward laboratory work and quantitative study. Researchers use questionnaires or interviews to gather information about specific aspects of subjects' behavior. Surveys are often used to obtain information on aspects of behavior that are difficult to observe directly. Surveys also make it relatively easy to collect data on attitudes and opinions from large samples of subjects. The major problem with surveys is that they depend of self-report data. Intentional deception and wishful thinking can distort subjects' verbal reports about their behavior. Scientific research is a more reliable source of information than casual observation or popular belief. However, it would be wrong to conclude that all published research is free of errors. Scientists are fallible human beings, and flawed studies do make their way into the body of scientific literature. This is why replication of a study (or observation) is important. Replication of a study may lead to contradicting results. Some inconsistency in results is to be expected, given science's commitment to replication. Fortunately, one of the strengths of the empirical approach is that scientists work to reconcile or explain conflicting results. In fact, scientific advances often emerge out of efforts to explain contradictory findings. This is very important to keep in mind as we collect data and continually observe findings in the field. We must not always be too quick in search of the answer, or the truth may elude us. Looking at conflicting evidence is very healthy and may lead us to the answers. A sample is the collection of subjects selected for observation in an empirical study. In contrast, the population is the much larger collection of people (from which the sample is drawn) that researchers want to generalize about. Sampling bias exists when a sample is not representative of the population from which it was drawn. We must be careful to not drawn conclusions until we are able to deal with a diverse array of the public, which will give us a fair sample of the overall population which is encountering these occurrences. Placebo effects occur when subjects' expectations lead them to experience some change even though they receive empty, fake, or ineffectual treatment. Placebo, for our concern, may happen if we give them information on the subject, they may conform their observations on the new information given to them or alter what has happened in the past or jump to quick conclusions about natural experiences. The overall effect of the thought of a ghost is interacting with them causes some to distort previous experiences. We must be careful with what information we give them and at what time we give it. Social desirability bias is a tendency to give socially approved answers to questions about oneself. This could also include conforming your observations by what is popularly known to be ghost activity. Example; someone feels a draft in their house and assumes it is a ghost, they may lump other unrelated experiences with it to draw the conclusion or convince others based on the current social trends of paranormal activity. Experimenter bias occurs when a researcher's expectations or preferences about the outcome of a study influence the results obtained. This is a common problem with ghost research on many different levels. The first that comes to mind is that we (like some who experience ghosts) jump to conclusions based on bits of information obtained during the case. We must learn to look at each piece of evidence as separate and not lump everything together immediately and assume every clue adds another piece of the puzzle and help confirms a ghost. Another lies with the popular orb photographs. In this we have a tendency to draw our conclusions from what we see or believe not what we can prove or study. We must not try to "see what we want to see" and look for viable evidence to deny any rational or natural explanations first and foremost. Watt, Caroline A. (1994). Advances in Parapsychological Research, Volume 7. (Making the Most of Spontaneous Cases, p. 77-103). Jefferson, NC. McFarland & Company. Weiten, Wayne. (1992). Psychology: Themes and Variations, 2nd Ed. Pacific Grove, California. Brooks/Cole Publishing Company. Parapsychology attempted to use the strict confines of the scientific method. Unfortunately, psi phenomena does not adhere to the rules of physics or to observation. "Unknown" variables have always complicated the use of science when it comes to the observation and testing of the paranormal. It had been noted from the beginning that the increased use of science and speculation lead to the diminishing ability for psi to work and to be recorded. This is why psychical research, parapsychology, and amateur ghost investigation has not made much headway in the last 130 years. The reality is the formal study of ghosts, while it has provide a lot of information for us to go on, has also steered us wrong and has brought us to where we are (in a manner of speaking). Pseudoscience - a system of theories, assumptions, and methods erroneously regarded as scientific. "Pseudoscience." Merriam-Webster.com. Merriam-Webster, n.d. Web. 19 Apr. 2014. .
Parapsychology and general ghost research is regarded as pseudoscience by the rest of the scientific world. A few of the reasons why include; a lack of conclusive evidence despite over 130 years of investigation, many of the concepts conflict with current scientific laws, theories are weak and very undefined, there are many weaknesses in experimental research including data collection and interpretation methods, there are no repeatable experiments, and many other damaging and true observations. This further demonstrates that groups who feel they are doing science in the field are mistaken as there has historically been a lack of proper scientific usage toward the field even in controlled testing in parapsychology. Again, it is my thought that many groups really do want to do things right and feel that why they are doing "science" they know that the methods are far from accurate or truly scientific. The reality is groups need to navigate away from the way things are being done in the field. They need to identify and avoid the speculative nature of ghosts as well as the mythology that follows many of the beliefs behind them. There are ways that the field can progress toward the use of more controlled situations and methods while conducting field work. Please review the examples on the left hand side and then move on the next step of the Process of ghost investigations. Benjamin Radford - Ghost-Hunting Mistakes: Science and Pseudoscience in Ghost Investigations. These steps may seem simple, but oversimplification can lead to bias, reporting errors, and other forms of misusing science to fit one's theories. - Sherlock Holmes "The Adventures of Sherlock Holmes: A Scandal in Bohemia"
The most important part about the scientific process is the last; peer review. By reviewing the work completed by others we can point out fundamental errors or mistakes so that the work can be done better the next time around. For some, posting evidence means this is their final interpretation and nothing anyone else says will matter to them. For others, seeing this work means they must argue every piece of evidence as being flawed by throwing whatever sticks instead of evaluating the evidence and finding the actual reason for it being flawed. How was the evidence collected? How was the evidence documented? What controls were used? Do you have back up audio/video that can support this evidence? Asking questions instead of throwing insults will bring this field out of the dark ages. - Sherlock Holmes, "The Adventures of Sherlock Holmes: A Scandal in Bohemia"
The concept of "paranormal unity" is flawed in many ways. The message is good, but it is too broad and interpreted in different ways by different groups (getting along, sharing ideas and evidence is too general to be productive and universal). Groups that push unity tend to evolve to fit the opinions, theories, and beliefs of those who make up the group and typically exclude others; which is ultimately the opposite of the message preached. "The world is full of obvious things which nobody by any chance ever observes"
- Sherlock Holmes, "The Hound of the Baskervilles"
Camps of thought have helped other areas of science become what they are today. By this process groups focus on particular theories of belief and form "camps of thought" surrounding these theories and attempt to draw further conclusions. With opposing camps, or camps of various thoughts, these concepts are continuously challenged by other camps and the most logical and verifiable camps will ultimately have their work backed up and become the leading camp. There are already camps of thought within the paranormal; certification versus no training required, psychics versus no psychics, lockdowns versus controlled conditions, orb theories, EVP theories, Ouija Boards are evil, lights on versus lights off, full moon/space weather beliefs, and on and on. The problem is there is only squabbling between these camps of thought and groups are not binding together within these camps to help create more solid research and investigation into these particular viewpoints. Imagine a Facebook group page where a person posts a photo of their certification as a ghost hunter. A few people may congratulate this person while many others will jump in and state that it means nothing. This, in turn, starts ongoing arguments between different people and leads to no real debate only a stalemate due to name calling or pointless rants. Only by forming a solid foundation of belief can any concept be confirmed, denied, or taken in a new direction by the masses. "It is of the highest importance in the art of detection to be able to recognize, out of a number of facts, which are incidental and which vital. Otherwise your energy and attention must be dissipated instead of being concentrated." - Sherlock Holmes "The Reigate Puzzle"